American Automaker Ford is soon to launch its first Compact Utility Vehicle (CUV) in India. This cross-hatchback will be sold in the name of Ford Freestyle in India. Even before the launch, this CUV has made a lot of headlines and people are eagerly waiting for it. As the name suggests, Freestyle is an interesting CUV based on the Figo Hatchback. This interesting car will be placed between Ford Figo and Ecosport. The company wants to target those people through Ford freestyle, who are purchasing a car for the first time. Those who want an enhanced performance and a sporty look in a limited budget. In India, the trend of people at this time looks more compact SUVs, which results in the market of compact SUVs growing rapidly in the country. New seasons and brand new launches are coming out in this segment. This is why Ford has also decided to launch Freestyle in this segment. But is Ford Freestyle different from the already existing Figo and Ecosport in India and will it compete with its competitors like Hyundai i20 Active and Toyota Etios Cross? To know this, we went to Rajasthan's Pink City, Jaipur to test it and its test drive. Let's know what we have to say about this car. When a car buys, its look and design first looks first. Keeping this in mind Ford has designed Freestyle very specially. The company has kept its front slightly larger than Figo. Along with that, its high is also higher than Figo. But a special thing that draws your attention to you is that the ground clearance of the CUV is The ground clearance of Ford Freestyle is 190 millimeters, which is 16 millimeters greater than Figo. Another thing that draws your attention is its 15-inch four-spoke alloy wheel. Because usually four-wheel alloy wheel hatchbacks are given in cars like sedan. Black-colored black grille has been revived in the Ford Freestyle. Apart from this, headlamps have been installed similar to Figo in its front. Both bunkers of Ford Freestyle have been designed in the Smart C shape this time. However fog lamps have still been installed in Bumper. LED DRLs are not given here. Apart from this, the Shoado Skid Plate and Fox Cladding in this car give a fantastic look to the Ford Freestyle. Speaking of Ford Freestyle's side profiles, this CUV is very similar to Figo. Only when seen from the side shows how great is the height of this car. The Ford Freestyle has been awarded with extremely spectacular Silver Roof Roles. Apart from this, Black Detection has been given on Black Graphics and ORVMs. It has a new taillamp cluster. The design of Overall Ford Freestyle is quite impressive and attractive. 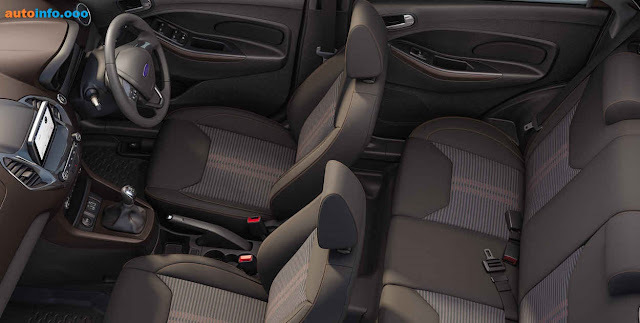 The interior of Ford Freestyle is similar to Figo but this time it has a new color theme and some additional features that separate it from Figo. Its dashboard has been given the theme of Chocolate Brown and Black Color. Ford Freestyle center console has a 6.5-inch touchscreen input system. It snaps the information on Smart Connectivity, Apple Carpool and Android Auto. This car is very luxurious and runs fast. You can say that this is the best encoding system in cars within 10 lakhs. The Ford Freestyle cabin is quite spacey. The front seat is quite convincing and this car's head space is very good. In this car, 4 people can sit easily, although 5 persons may feel slightly uncomfortable sitting in the seat. The new fabric is given in the seat, whose quality is spectacular and attractive. The seat behind it can be completely folded. Where Ford Frosty disappoints, it's boot space It has a 257-liter boot space similar to that of Ford Figo, which seems a bit shorter. Apart from this, everything else that falls short is a dead pedal on the left foot and further arm-rest. Ford has given a new engine in Freestyle. The Ford Freestyle has a 1.2 liter, 3-cylinder petrol engine installed from the company's Dragon family. Petrol engine generates 90 horse power and 115 newton meters torque. The engine is equipped with 5-speed transmission. While talking about its diesel variant, it has only 1.5 liter diesel engine with Ford Figo and EcoSport, which produces 100 horse power. 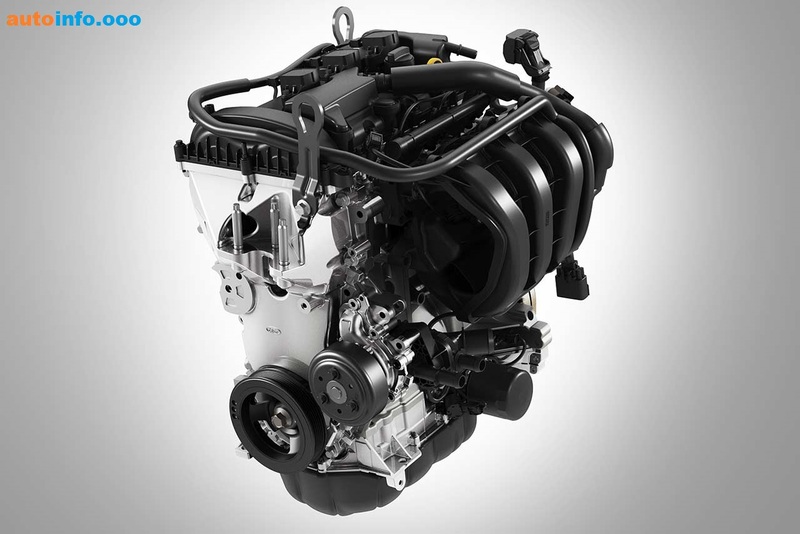 This engine is equipped with a 5-speed manual gyibox transmission. Ford Freestyle driver seat can be top-down. On the top of the seat you get a fantastic driving position and increase view. Compared to Figo in the Ford Freestyle this time has given a steering wheel. Apart from this, the clutch is also kept in front of the previous light which makes its handling much easier. And even driving for long periods does not feel tired. Ford Freestyle is a performance car and its riding is quite fantastic. It can be folded on high speed. Also, the Ford Freestyle Riding is also good in rugged and rocky roads. It has anti rollover protection, front anti rollbar and 15-inch tires. In addition, the best suspension has been given in the Ford Freestyle, which makes its ride more fun. Ford Freestyle will be available in four variants: Ambiente, Trend, Titanium and Titanium +. Ford Freestyle will come with a total of six colors this time: Canyon Ridge, Moonst Silver, Smoke Gray, White Gold, Oxford White and Black. Speaking of mileage, according to ARAI, the Ford Freestyle Patrol version will provide 19 kilometer per hour and diesel version will mileage 24 kilometers per hour. Fuel tanks of 42-liter (petrol variants) and 40-liters (diesel variants) have been installed in Ford Freestyle, which is enough for a long distance journey. Speaking of safety features, the front of the Ford Freestyle has been given as Dual Airbag, ABS, EBD, Engine Immobilizer, Reverse Parking Sensor, Key-Less Entry, Approach Sensor, Theft Alarm, Seat Belt Reminder and Automatic Relock Standard. . A reverse parking camera is provided in all variants (excluding Ambiente). Apart from this, most high trim levels also include features such as 6 airbags, Active Rollover Protection, TCS (traction control), ESP (electronic stability control), Hill Launch Assist and Emergency Assist. Regarding other features of its top-end variant, it includes electromechanical IRVM, automatic climate control, automatic headlamp, rain sensing wiper, engine start / stop button and Ford My key. A lot of accessories are being provided along with Ford Freestyle. Includes body stripe kit and roof wrap, seat cover, sun block, rear spoiler, 15-inch alloy wheel and slimline weather shield. In addition, Ford Freestyle includes features such as automatic headlamps, engine under shields, anti theft alarm, neck rest and Peelo, rear view camera, roof royals (which can weigh 50 kilograms). 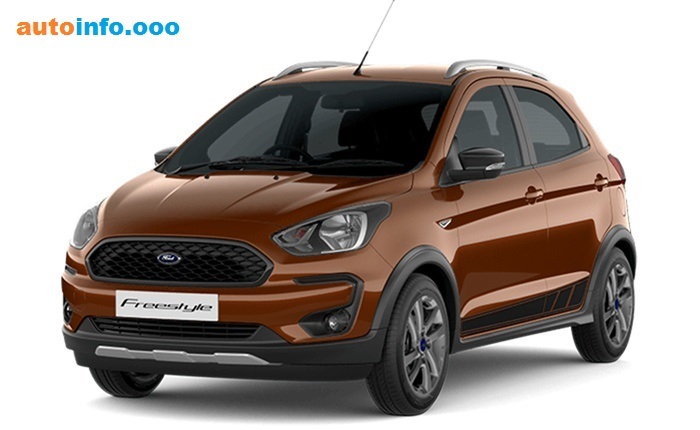 The Ford Freestyle Company has given warranty of 2 years or 100,000 kilometers. Apart from this, many warranties and service plans are being offered. The running cost of Ford Freestyle's petrol and diesel variants for 1 lakh kilometers will be 41 and 51 paise per kilometer! Talking of Ford Freestyle rivals in India, the competition will be primarily from Hyundai i20 Active and Toyota Etios Cross. Ford Freestyle can not be called a Perfect Car, but it has done a lot of improvement in every essential segment. Whether it is a style or design, performance or safety, everything is perfect for the Ford freestyle. Well, buying or not buying this car depends entirely on the customer, but the news is coming up for its price, Ford Freestyle can prove to be a good crossover in this range. It is expected that this month Ford freestyle can be launched and it will be placed between 6 to 9 lakh (on-road). Its booking can be done on any Ford dealership in the country with a token amount of Rs 21,000. Its delivery will begin in June.